This meticulously cared for duplex is ready for your immediate move in. 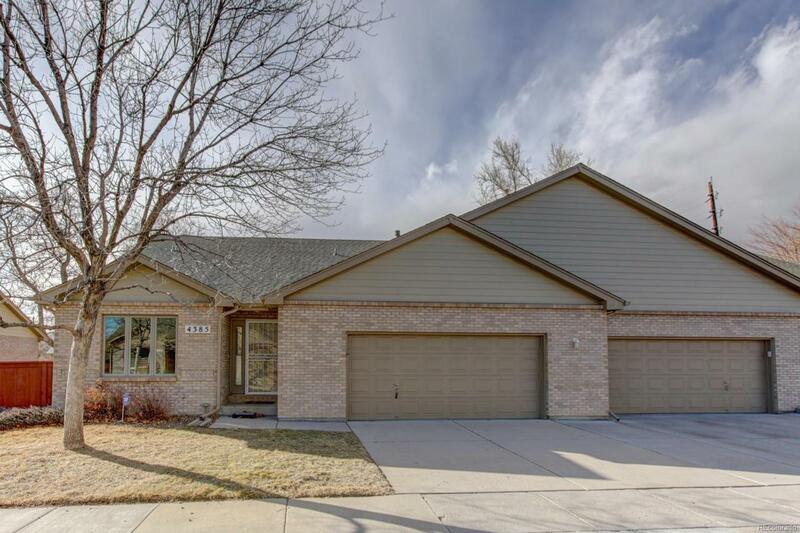 The beautiful home is located in a quiet and very friendly community and features upgraded light fixtures throughout, newly remodeled master bathroom with marble, new sump pump, newer furnace, and a new roof in 2016. The half duplex features an insulated garage door to keep the garage warm and a fenced yard for your favorite pet! Plenty of storage and an open floor plan with a warm fireplace make this a great place to host get togethers for the holidays! The custom wood blinds stay with the home and the neutral paint make this home move-in ready! Enjoy a cup of coffee on the fenced-in side patio or take the short walk to the trails at Prospect Lake or to the Wheatridge shops and restaurants. HOA will also assist in helping the homeowner check in attics, crawlspaces, etc as needed!